How do I find a Free Consultation Lawyer? Due to financial difficulties, many people are finding it difficult to afford legal representation when they need it. Not having the financial resources should not keep you from upholding your legal rights Lawyers will often provide free consultations for you to discuss your legal needs, which can open the door for you to seek the legal representation you need and to give you the information you need to make important legal decisions. Free consultation lawyers will provide you with all of your legal options. It will be up to you to decide whether or not to further pursue legal actions, so make sure the lawyer only provides service that you want and approve of. These lawyers will also work with you to guide you through the fee structures and payments, often working on a contingency basis meaning they will only be paid if you win money. Bring with you all important documents and evidence that will be important for your potential legal claims. Make sure you go over all of your concerns, your goals, and how you want to pursue your potential claims and what type of compensation you are seeking. Also make sure to tell your attorney how you learned about him or her, often lawyers would like feedback as to how you chose to seek their guidance. The lawyer will try to work with you the best they can, however they can only provide you with help if they have all the information possible. You must make sure to tell your free consultation attorney every detail, even if you feel uncomfortable or think it will hurt your case. 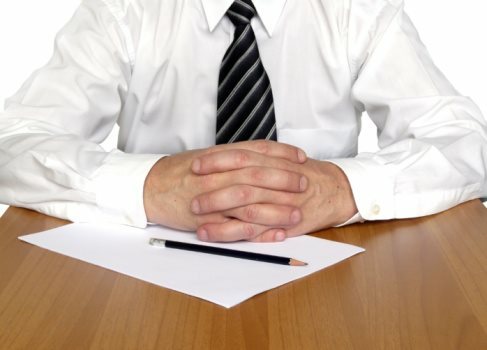 Even if you are not paying a lawyer, they still must abide by confidentiality rules and anything you say to them when seeking their advice will not be divulged without your consent. Finding a free consultation lawyer will often lead you to flashy advertisements with promises of great legal services. However, it is best to search for a lawyer on your own and to make an educated judgment as to which lawyer to choose. Contact the local bar association to learn if a lawyer has any ethical violations. Also ask those in your community about the reputation of the lawyer, which will both keep you informed and help assure you that you are selecting a good lawyer. Search the internet for free consultation lawyers in your area. The internet can provide important information to help guide you through your lawyer search. You may use this website to find an free consultation lawyer by using the search box on top of the page. Compare attorneys and ask free questions on this website will also be an important step you take in finding the lawyer that is right for you. Be prepared to speak in depth with the lawyer about your legal situation and what you are seeking. Often, a free consultation lawyer will want to review your files and any information you can provide will be helpful. If you are seeking help for any type of injury, make sure to have medical histories ready. If you are unable to provide copies of documents, have a list of contacts who have access to them and can furnish them to the lawyer. It may take some time for a lawyer to review your case, so have patience while this is happening. The litigation process can be long and difficult, so make sure to plan for a long battle. All attorneys must meet minimum requirements before practicing law and representing clients. They must complete a juris doctorate degree from an accredited law school, meet character and fitness requirements, and finally pass the bar exam in their jurisdiction. However, these minimum requirements may not be the only experience your free consultation lawyer should have. The practice of law is very difficult and technical, and often requires several years of experience before a free consultation lawyer has enough experience to really be qualified to take your case. Ask any free consultation lawyer about their past experience taking cases, the type of cases that they usually take, and their success rates with those cases. If you do not feel comfortable with the level of experience the lawyer has, ask if he or she can refer you to another more experienced lawyer, or continuing searching for another free consultation lawyer. During your free consultation, make sure to inform the lawyer of your case, but also ask questions about the lawyer. You should try to get a feel for the lawyer and feel comfortable around him or her, as your case may take several months or years, and you will have an extended relationship with your lawyer. The free consultation period is a crucial time where you should determine whether your lawyer is the right one for you. Your lawyer's personality and values will be a very important indicator of how he or she will handle your case. Organizational, communication, and analytical skills are all essential abilities that your lawyer should have. If when you meet with your free consultation lawyer, and you feel they do not have these skills, be wary of continuing the attorney client relationship and think about moving on to a new lawyer. Usually, a free consultation lawyer will collect their fees on a contingency basis, which means they only collect their fees if they are successful in bringing an award for their client. Other lawyers will charge on an hourly basis, in which they will bill you depending on how many hours spent working on your case. Hourly billing can be a very expensive fee structure and does not change if your lawyer is not successful. Contingent billing is usually the preferred method by clients, as there will not be any fees unless your lawyer wins your case. During your free consultation, ask the lawyer about how they will collect their fees and how they will pay for litigation expenses. Ask for an estimation of the time your case will take and what the lawyer expects is a reasonable value your case will bring. Make sure to keep an open line of communication with the lawyer, because depending on your case, you may have to continue to come in for conferences with the lawyer, submit medical records, or participate in medical examinations or depositions. These will all be very important steps in continuing your case, so ensure that you schedule them with your lawyer when you meet with them.